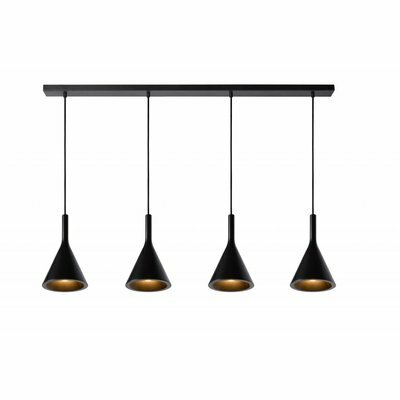 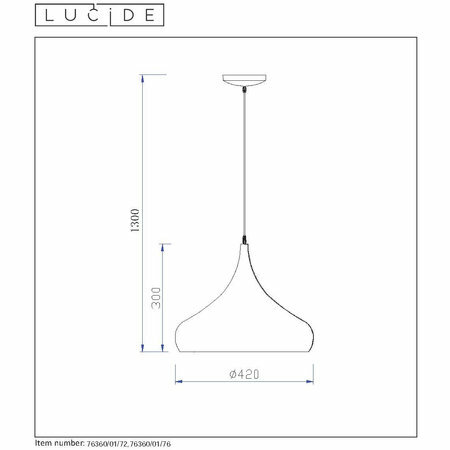 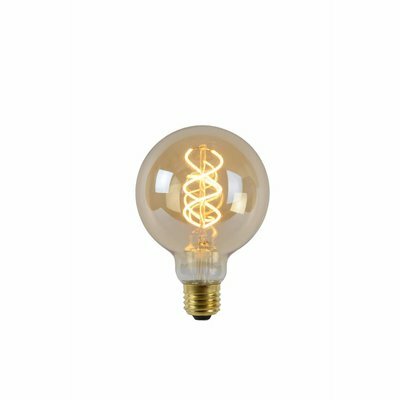 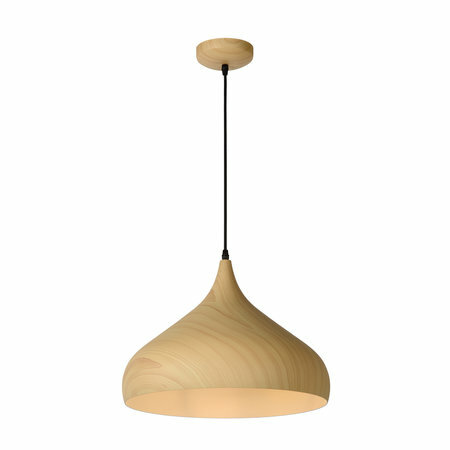 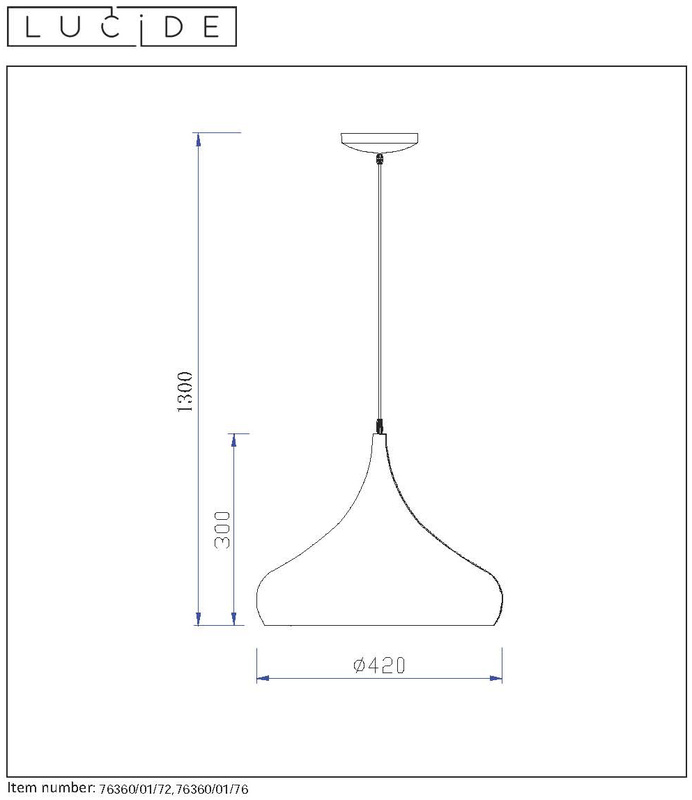 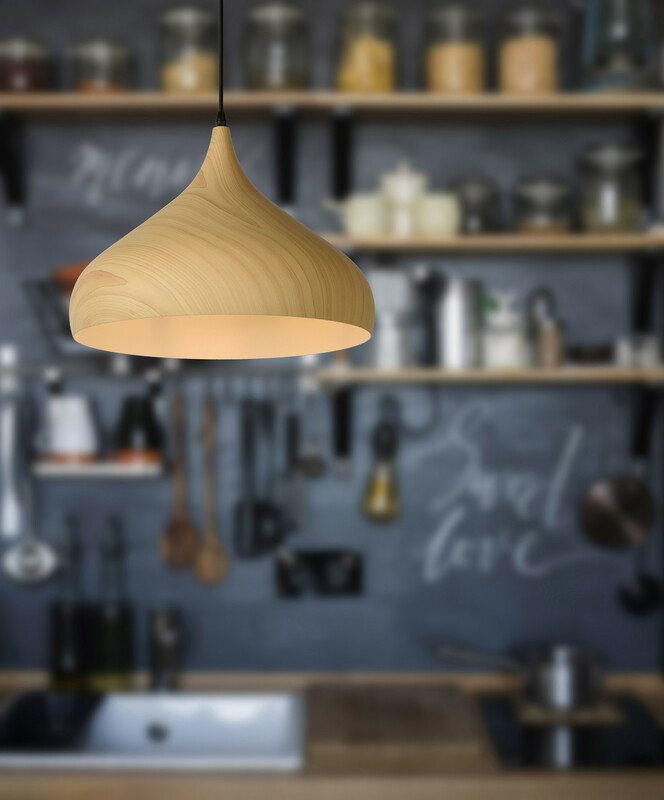 With a diameter of 42 centimeters below and an adjustable length of 35 to 130 centimeters, this pendant lamp is a flexible and especially practical pendant lamp. 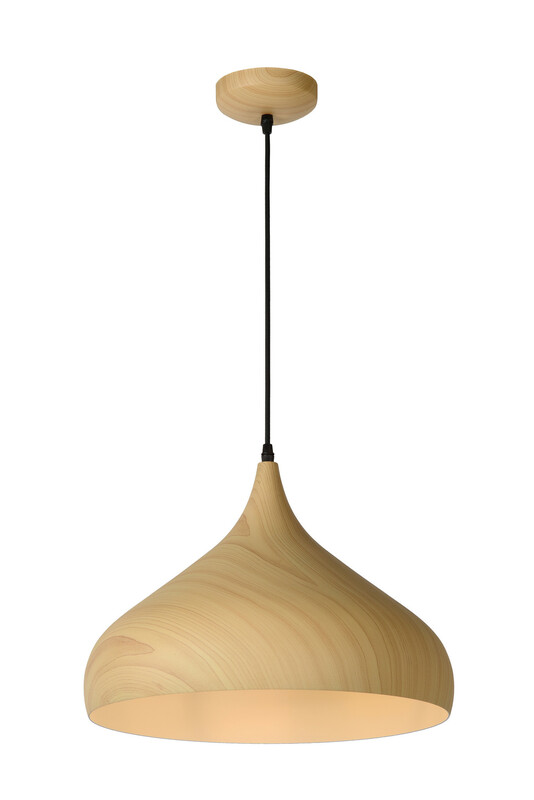 Thanks to a new production method, a special paint technique ensures that this metal pendulum seems to be made of wood. 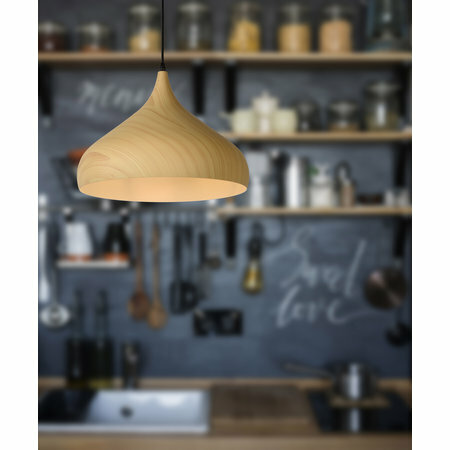 The light wood pattern gives ceilings in the living room, bedroom, hall or dining room an extra eye-catcher, certainly in combination with wooden floors or furniture. 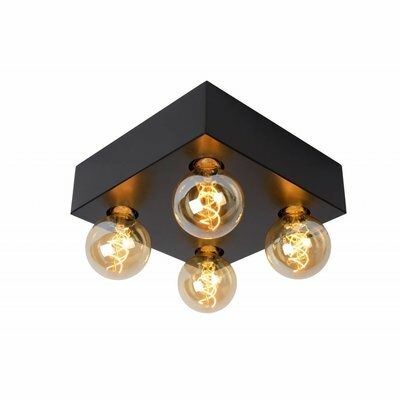 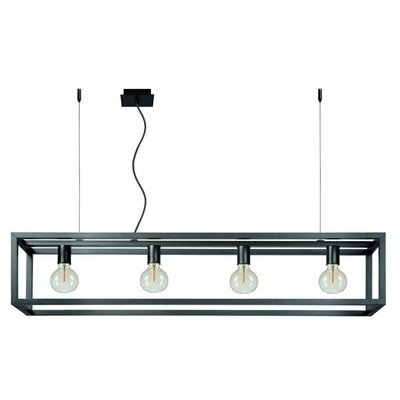 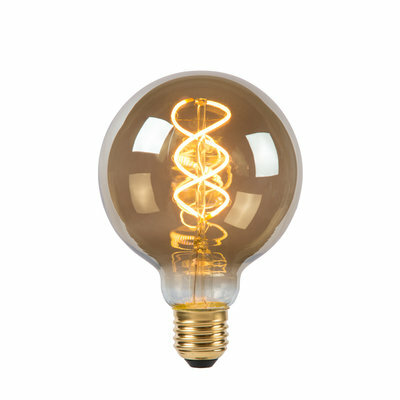 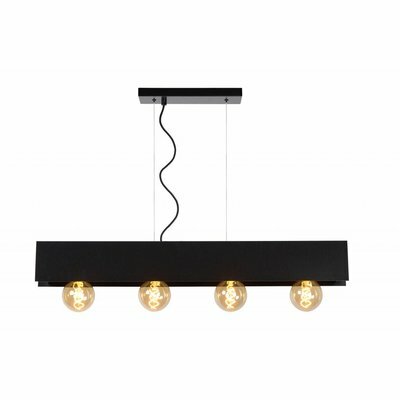 The modern yet classic design is also dimmable and can handle up to 60 watts.